An antivirus is an important part of a PC. It keeps your PC smooth and healthy by deleting all types’ viruses & Trojans. Now here, how these viruses & Trojans can affect your PC? Due to these viruses & Trojans, our PC may suffer from the slowdown in performance, increment boots-up time and many more problems. Sometimes these viruses may damage a PC so badly that we need to spend some money for solving it. To avoid these problems, we generally use an antivirus which protect our PC. But what about these antiviruses, how can we get any in our PC. If we need the best one so we must get ready to spend some money. But there is another option which includes free antivirus to protect your PC. There are large numbers of free antiviruses floating on the net but we need the best one among them. So here we are discussing on such best free antiviruses that are floating on the internet. Microsoft Security Essential is the best and no. 1 free antivirus among all the free antiviruses. This antivirus supports in Windows XP, Windows Vista and Windows 7. This security essential antivirus is an award winning free antivirus in the year 2011 and even in 2012. It has lots of feature as Microsoft designed this for the Windows specially. You can download its official version direct from Microsoft website. 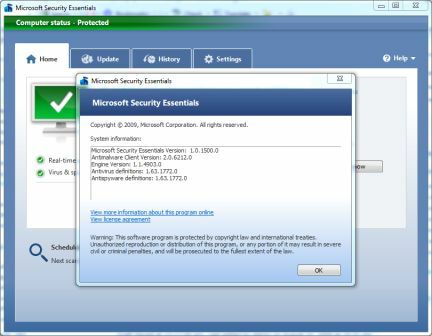 Microsoft Security Essential only supports with the genuine Windows copy. So if you are using a pirated version then your PC is not eligible to use this antivirus. Avast free antivirus 2012 is listed at the second place in the list. Avast provides a better security to your system than any other free antivirus. It supports Windows XP, Windows Vista, Windows 7 and Windows 8. The salient feature of this antivirus includes: Anti-spyware engine, Real time protection, Boot time scanner, Auto sandbox, Avast mail shield, Avast web shield, Avast network shield. This antivirus updates automatically whenever updates are available for it. A special function of voice command includes with the Avast Free Antivirus which informs you with a sweet voice that what is going-on in your Antivirus. You can download this antivirus from its official website for free. Note – You can download the latest “Avast Internet Security 7” at a discounted rate. Follow the link. Avira Free Antivirus is one of the best and free antivirus available on internet. It supports in Windows XP, Windows 7. Avira antivirus comes with great features and with smooth interface. It has many features which protects your PC every moment. Its salient system security features include: Anti-Phishing, AnitVir Pro Active (which detect threats by their behavior pattern), Web guard protection (protects your PC from dangerous websites), Anti-Drive which avoids downloading viruses while surfing online, Mail Guard which protect from infected emails. This antivirus is very simple in use with great interface. It also scans your external device which is connected to your PC. Avira Free Antivirus does all its update automatically. While automatic update, the Avira Free Antivirus will notify every time for upgrading this free antivirus to a paid one. There is another antivirus in the list named Panda Cloud Free antivirus. This is a light antivirus with lots of fantastic features. The most important feature is its automatic updating capability through its “cloud technique”. It’s all security function runs in background. Overall, this panda cloud free antivirus is very much protecting and strong for your PC. There is only one problem with this antivirus which is its automatic quarantine feature. If we ignore this short feature then this will be the best antivirus we used ever. PC Tools iAntivirus is specially designed for Mac, but it can be usable over PC also. This antivirus is very much strong to protect your PC with its highly effective features. With this iAntivirus, scanning is so easy. It provides a real time protection which ensures that your PC safety. Comodo Free Antivirus comes at the sixth position in the list. This antivirus works very perfectly and hence saves from all affected threats. Comodo has an award winning firewall application. Overall, it gives a strong protection to your PC from all types of online as well as offline threats. It also protects your emails, online shopping & browsing. The seventh best antivirus for your PC is BitDefender Free Antivirus 2012. This antivirus is capable of defending your PC with the external device which you connect. It provides both online and offline protection to your PC. This antivirus gives a perfect scan in gaming mode too. You can download the full version of this antivirus without paying a single penny. AVG is widely known antivirus for its service and occupies seventh position in the topmost lists. It can protect your PC and Mac system. It has many inbuilt features which gives a powerful protection from all types of online/offline threats. This AVG has a highly advanced protecting tool which gives powerful scan. I think most of you wouldn’t have heard about this antimalware. This Malwarebytes has a very strong security system. This antivirus is gaining more and more users day by day because of its improved performance. The most impressive feature of this antimalware is it can be used with another antivirus program. This antimalware is designed especially for system root level problems and threats. It is simple in use with highly responsive features. The 10th best antivirus program is Spyware Doctor with Antivirus. This antivirus was awarded by mag.com in the year 2009 as product of the year. This program is widely known for its excellent performance and features. 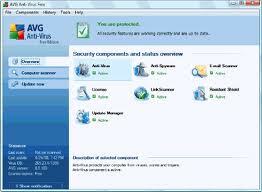 This program is a composition of antivirus and antispyware, which in result gives the overall protection to your PC. These were the 10 best antiviruses which is available on internet.